What a unique project this was! 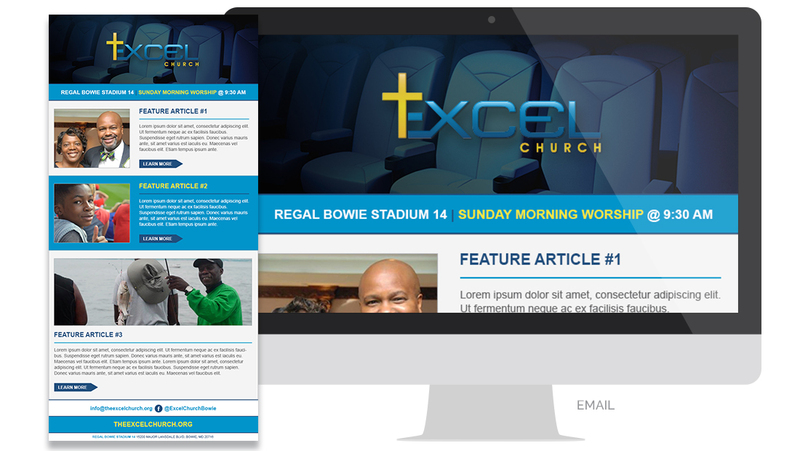 This emerging church, located in Maryland, reached out to us because church attendance was at an all-time low and congregation size was stagnant. They asked us to come up with a campaign concept and designs that would engage the local community to come to church throughout the summer, and reach those who had never attended church before (or hadn’t in years). 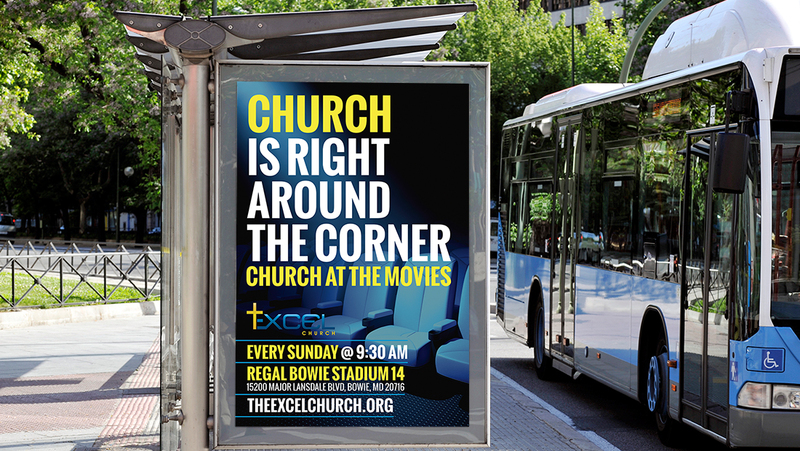 We scheduled the campaign for the months of July and August, so it would directly lead up to the “Back to Church” campaign (alongside the back-to-school season) in September. 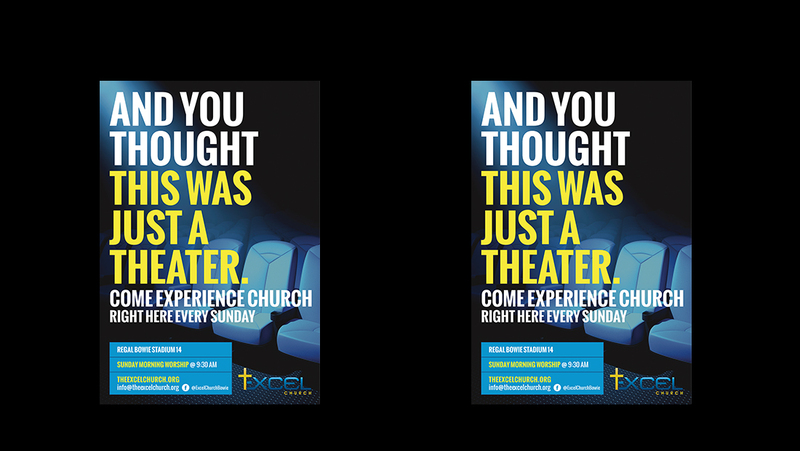 We developed several taglines for this church who met in a Movie Theater each Sunday; including but not limited to phrases like “You love movies. God loves you. A match made in heaven.” Our team ended up developing separate taglines for each channel (such as bus advertisements and posters within the movie theater itself), but all following the same campaign branding.